In the Liturgia Horarum, you have Legifer prudens for Lauds. This was composed by Dom Anselmo Lentini and published (1954) in the periodical Latinitas. Lentini, a very considerable hymnographer, commented that it fitted the munus sociale of S Benedict, on account of which he was made principal Patron of all Europe by S Paul VI. Also in LH, at Vespers, there is Inter aeternas, by Peter the Venerable, Abbot of Cluny, who died in 1156. It is shortened, partly by the omission of some miracles. In the original draft of the Hymnarium for the Liturgia Horarum, Fratres alacri had been suggested for the Office of Readings. It was composed by Paul the Deacon, who died in 799. 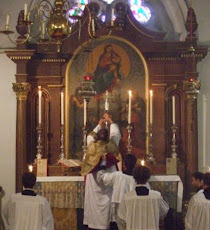 In my Diurnale Monasticum, Inter aeternas is the hymn at Lauds; at Vespers there is Laudibus cives. I find this hymn very appealing because of the clues scattered around its text. For example, it tells us that the youth ful S Benedict left the penates of his fatherland; that he laid low both the nemus of Venus and the bronze statue of Clarius. The God of Clarus was, of course, Apollo ... I wonder if penates and Clarius would have featured in a hymn written before the classicising movement of the seventeenth century. But Urban VIII and his circle cannot claim the credit for Laudibus cives. It was written by Jean-Baptiste de Santeuil (1630-1697), who, in the style of the times referred to himself as Santolius Victorinus, because he was a Canon Regular of the Monastery of S Victor. He made generous contributions to the hymnody of the Paris 'Neo-Gallican' breviaries of 1680 and 1736, but I have not discovered that Laudibus cives was one of them. My hypothesis is that he provided it for the Cistercian Breviary revised in that century by Claude Vaussin, Minister General, and that it thence made its way into the current Monastic Rite. Or perhaps the Cluniac Breviary of 1685 was the source. Erudite readers who know better are urged to correct or supplement this account. 'Santolinus', having been buried at Dijon, was moved later to his Abbey of S Victor. When that Abbey was destroyed during the Troubles of the 1790s, the body was transferred to the church of S Nicolas du Chardonnet, where, according to Wikipaedia, it is buried in the Chapel of the Holy Spirit. I have not been able to discover in Wikipaedia the text of the Latin epitaph composed by the great (if Jansenist) Hellenist Rollin. Father, in support of your hypothesis that de Santeuil provided "Laudibus cives" to the Cistercians, our Trappist monastery has a "Breviarium Cisterciense" of 1751 which assigns "Laudibus cives" to Vespers "In utroque festo S. Benedicti". "Inter aeternas" is indeed the Hymn at Lauds, and "Quidquid antiqui" at Vigils. According to the Barroux Diurnal, Laudibus Cives is from the fifteenth century. It doesn't give the name of the author. Somebody in Piccolomini's circle? I searched for Rollin's epitaph for Santeuil. In case the links below don't work, I will transcribe it here also. Relligio, latet hoc marmore Santolius. Dixerat, at cineres quid juvat iste labor! Mercedem poscunt carmina sacra Deum. Splendid! Thank you VERY MUCH indeed. I wonder what the middle of the three elegiac couplets refers to ... it seems to suggest a lot of profane verse! I looked up the feastday of Sancti P.N. Benedicti, Abbatis et Legislatoris in the Diurnale Cisterciense of 1894. The diurnal has the hymns Laudibus cives resonent canoris for first and second Vespers, and Inter aeternas superum coronas at Lauds. Unfortunately, it doesn't mention who the author of the hymns is. Neither does the 1934 Solesmes Antiphonale Monasticum mention the author.